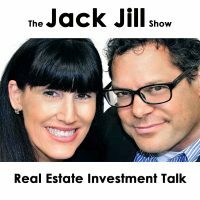 Jack Butala: Welcome to the Jack Jill Show, entertaining real estate investment talk. I am Jack Butala. Jill DeWit: I am Jill DeWit, broadcasting from sunny Southern California. 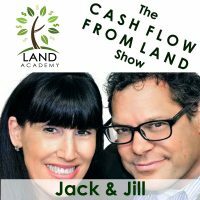 Jack Butala: Today, Jill and I talk about easy land Internet checkout experience for your customers, and why it’s important. Jill DeWit: It’s easy for them, it’s not so easy to set up sometimes. Jack Butala: You know, the good news is you’re right, but the good news is you only have to set it up once. Jack Butala: One time, and it applies to everything. Jill DeWit: It’s so worth it. I gotta tell you, this is one of those things that … I mean, I’ll be honest and we’ll share this. There are some hoops you gotta jump through, and I want to properly convey what’s involved here, but then we’re going to share why it’s so important. I think people don’t believe that this really happens, and I want to share some stories about when it really did happen. Jack Butala: What Jill’s saying is there’s a really beautiful ending to this story. Jack Butala: The good news is we’ve figured it all out, we’re going to explain why it’s so important, and then tell you exactly where to go and what to do to make your land/checkouts … customer experience when they purchase land or down payments on houses, even. Jill DeWit: Yeah, it’s … I mean, imagine. It’s like, someone says they add this to your cart, and it’s 40 acres, and they add it to their cart, and then they check out. That’s what we’re talking about, and it really does happen. It’s cool. Jack Butala: Before we get into the details of all of that, let’s take a question posted by one of our members on the JackJill.com online community. It’s free. Jack Butala: Good question. Good basic question, Brian. Jill DeWit: Is this legal? Should I do it? Jack Butala: So here’s what happens. The only way that a county can make a property taxable so it starts to receive property taxes by assigning an APN, an Accessories Parcel Number. Think of a developer who goes through the process, who buys 40 acres on the edge of town, and then puts roads in and maps out a plat map, or 50, 60, or 100 or some number of houses are going to be built. When he took the property it was 40 acres, it had one APN before he did this, and now it’s got 100 APNs. That’s the same thing that happens when you’re on the edge of a Native American reservation. It’s the same thing that happens when you are on the edge of a mountain. A lot of times they are incorrectly plat mapped by the assessor at the time. They’re human. They make mistakes. I just read a story … in San Francisco, all the streets have APNs, and no one should own the streets. The municipality should. So, it’s a real problem because no one pays the tax … whoever owns them, they stop paying the taxes, they realize you can’t do anything, so it goes to the tax auction, then somebody else owns it. It’s a big problem. So, to directly answer your question, Indian reservation property, if it’s truly … and this isn’t the name of the subdivision, because a lot of times Colorado River Indian Reservation might be the name of a subdivision, which is why it’s in the legal … I don’t think that’s the case here. Jack Butala: But if it’s truly on an Indian reservation, it was mis-platted, and does have an APN, just stay away. Jill DeWit: Replies, and that too. Jack Butala: That are not on Indian reservation property, or you’re not even questioning it. It is useful for everyone to know. Jill DeWit: I want to say, too, what if you’re on the edge of it? What if there is a legitimate piece of property like we’ve had it with [Coreb 00:04:23] Engineer property. We’ve had members that had it … like, next to a national park property, and they’re like, “Wow. It’s right there.” Does that make sense? I’m like a, “Heck yeah,” kind of thing. Jack Butala: That’s an attribute, in a positive way. Jill DeWit: Yeah, if you end up with something that is legit, and it’s right slap dab next to Coreb Engineer, or a park, or state property, man that stuff’s gold, I think, because no one can build on it. It’s like awesome stuff. Jack Butala: I bought a property(ies) that was on the edge of the Grand Canyon, and since sold them. But, I’ve had property on the literal country line of Mexico, where you could reach out across the Mexican border in Texas and New Mexico. Jill DeWit: It’s like you could straddle it. My foot’s in Mexico. My foot’s on my property. Jack Butala: Right. I think … I’ve had landlocked property within a state park, or a national park. Jill DeWit: See, yeah. That’s kind of cool. Jack Butala: Both of those. That’s fantastic. Jill DeWit: I mean, what a great thing. Jack Butala: So, yes. If you’re right on the … and I’ve had property right on the edge … a subdivision right on the edge of an Indian reservation. Nothing is ever going to get built there, or it may. If it does, it’s only going to improve your property. Jill DeWit: Right, or an airport. Jack Butala: Yeah, an airport. It might be that. Jill DeWit: You don’t want that. Jack Butala: [inaudible 00:05:53] always positive. Jack Butala: Today’s topic: Easy Land Internet Checkout. Jill, you have a lot to say about this. I know you do. Jill DeWit: I know. This is something cool that we … it’s awesome because we had it, we didn’t have it, and now we have it in a big way. So, let me back up. Once upon a time things like PayPal and other places would let you, and other credit card processors like Moon Clerk and things like that, would process credit cards, right? Before properties … awesome. Well, eventually, I just think they got nervous. I just think they don’t understand their property type. So, one by one all these separate credit card processing companies stopped allowing property purchases in all kinds, not just buying a piece of land … like even collecting rent. I’ve heard people have had trouble with that. All kinds of people in our business having trouble getting credit card payments for real estate purposes. We have solved it. Jill DeWit: Thing … right. There’s a place you can click on it right there, and get access, and there’s a description of what you need to do and how to set it up. I’ll tell you, there’s some things now … what you’re doing is you go to this link, and you’re going to have to provide a lot of information about your business. I mean, a lot of information. But, it’s worth it. Right now, what you’re doing is supplying who you are and what you do, what kind of properties, copies, maybe, of your contracts. 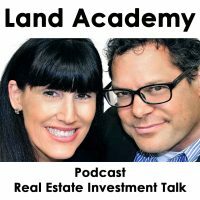 If you’re a Land Academy member, a lot of that is already done for you, if you’re just saying, “I’m one of the regular Land Academy people,” then they know what you’re doing and you can kind of fast track it. You have to provide about your business, where you are, what your refund policy and all kinds of things like that. At the end of the day, now you can accept credit cards. Oh my gosh. You can literally put a cart and a link where people can on your website add that property to their cart, check out, and pay at 3:00 a.m. Guess what? Why are we doing this? Because people do that. It’s not crazy. A lot of us are selling properties under the $10,000.00 price point, and for a lot of people, they have that available on their credit card, and they are so darn excited to buy a piece of property and pay it off with their credit card. Jack Butala: We’ve sold thousands and thousands and thousands of properties this way. Jill DeWit: Mm-hmm (affirmative). And here is one of the other reasons why … because they can’t afford, they don’t have the money. Maybe they want to buy … say you have a 40 acre property you’re selling for $10,000.00 or $12,000.00, whatever it is. A lot of individuals are excited. They want to buy that property. It’s great. It’s just what they want. It’s an awesome investment. They go to a lending institution, and most lending institutions, most banks, will not give loans on undeveloped or unimproved properties. So, these people are going, “Great. I can’t buy it. I wish I could. I know I could pay it off. The bank won’t lend me money.” But, a credit card, you could use a credit card, and that’s how they solve it, and they love it, and they’re thrilled and everybody wins. What happens every day now? Every minute, probably. It’s the same thing with land. We’re still in this first or second inning of that ballgame. I mean, it’s not so far off that people are going to buy houses completely on the Internet based on the experience they have on the Internet. Jill DeWit: Some of them do go drive it though, too, honestly, when they see it. I know that, because that’s what we put in all of our postings like the GPS coordinates, or really good maps. They might go stand on it, and they might be standing … they could be standing on it, and then hitting the checkout button right there. Jack Butala: With all purchased stuff on the Internet, where it was like, “Wow, that was easy. This is great,” … like Amazon has got a real good checkout experience. We’ve all purchased stuff with less than maybe reputable vendors, and you stop in the middle and go, “Hmm, what the heck is this? This is not right. It’s tripping my radar,” and they’re going to stop. Jack Butala: You don’t want to be that second person. Jack Butala: You want to have all the SSL certificates on the website that you’re going through. You want to make it easy. You want to make it so that if in fact they do get halfway through, and have some questions, that they can either reach you, or you can help them. This is really important. We spent all this time and money buying cheap real estate. You want to make it real easy to sell it. Jill DeWit: Of all kinds. Jack Butala: Yeah. Oh gosh. Jack Butala: Can it be this easy? Jack Butala: What did you say? I’m interested. Jill DeWit: No nonsense. Well, it’s actually recorded, too. But, I just said, “Look, this is what we do. We’ve been doing it since the 90’s. Sure, we know we’re buying at lower than what you could do, but do you really want to stage the house, redo the kitchen, and sit and wait a year, and all that? No. I’m just going to have you … you and I, with the price we agree on, is the price that you get. I pay for everything else, and it’s super fast, and super easy. You go on with your life, and go have a nice time.” He’s like, “Got it. Done. Check. We’ll call you when we’re in town on Tuesday.” Thank you. Jack Butala: I gotta ask you this, you’re so good at this stuff, Jill. Is there a point where you can hear that the person’s made a decision to sell you their property? Jack Butala: What do they do? Jack Butala: This is so fascinating. Jack Butala: Because this is not my thing. Jill DeWit: If it’s a buyer, property buyer, it’s an old silly term, but it’s like a bind signal. So it’s like when you hear them start to say … when they take ownership of the property, that’s when you know, oh, they love it. When they say things like, “Oh my gosh, I can just imagine my kids playing in the river,” and, “I’m going to build this type of a cabin there,” “I can’t wait for Christmas on the property,” “We’re going to do X,” “I’m going to put a fence around it because I really want to keep my horses in.” I don’t know, whatever it is. But, when they start taking ownership, then you’re like, “Oh, they love it.” They fell in love with it right there. Jack Butala: What about when you’re on the buy side? Jill DeWit: When I’m on the buy side? Jill DeWit: Number one, he calls me. There’s a good … you know, honestly, I swear when they reach out, even though they may reach out telling you you’re nuts, they still reached out. I often think that half the time, they do want to sell, it just wasn’t the right number, or it wasn’t the right situation, or something’s a little off right there for them, to make them do that. He quickly started to use first names. He went on a first name basis with me, and he said, “Lynn wants to do something with that,” kind of thing. Jill DeWit: His wife, who owns the house. Jill DeWit: So, he started to use her first name and says, “Yeah, she really wants to do something with it.” I could tell he’s like … it was basically saying, “We’re tired of managing this property.” That’s how you tell, too. When they start sharing stories about, “You know, I could use this for … we’re on number six kid’s college education, and boy we could be all caught up with that,” you know? That’s a selling signal kind of thing. Jack Butala: That’s what I look for. Jack Butala: Yeah, that’s what I look for. Jill DeWit: My favorite … they do this all the time is, “We thought we were going to retire there.” Exactly what you’re saying. Jack Butala: Well, you’ve done it again. You spent another 15 minutes listening to the Jack Jill Show. Join us tomorrow where we discuss and tell stories … how to tell stories, actually, in land postings and why it’s so important to present your property that way. Jill DeWit: And we answer your questions. Should you have one, post it on our online community found on JackJill.com. Jack Butala: You are not alone in your real estate ambition. Can you think of a story, Jill, that where … even recently where you absolutely know that … when you pick up the phone and they say, “I got your letter. What do I do next?” Where it really works well? Jack Butala: Tell me a story where it didn’t work well. Where you thought you were going to purchase an asset and it just didn’t pan out. Jill DeWit: Yeah, the easy one is like this guy. It was just kind of a … the questions that he asked were so minimal, little questions, it was almost like just making sure there’s a live body at the end of the line. It wasn’t even … he already had obviously looked us up. Jack Butala: He did? Okay. Jill DeWit: And it really wasn’t that big of a deal, so I could tell, yep, he’s ready. He’s done. He was just waiting for this to come along. How many times like you and I joke about … I have a car for sale right now. How I wish … I have a car for sale right now. It’s posted on the Internet. I’m not aggressively trying to sell it. I could, but it’s not like I need the money right now. It’s just driving me a little bit batty. If I got an offer from someone … a halfway decent offer to buy my car, I would sign it and send it back so fast, it’s not even funny. Just like that. So, that’s what happened for this guy. When I know it didn’t … one of the people that doesn’t go well is when they ask so many questions, and the same question, and they really don’t want to sell. There are some times where people call and they really don’t want to sell. Jack Butala: They’re just kind of dreaming? Jill DeWit: Well, you know what they’re hoping? Get them off the phone. It’s not going to work. No matter how hard those people try to get us to double our offer price, it’s not going to happen. We don’t want to waste anybody’s time, and that’s what I told this guy, too, the other day. I said, “Look, part of the thing is, I want to make it fast and easy for you, and fast and easy for me. That’s what we’re doing here, and everybody can go on their happy way.” He’s like, “Yep. Done.” We didn’t even have a long phone call. It was nice. Jack Butala: When you start talking price, that’s my … when everybody starts talking numbers, that’s a bad sign. Jack Butala: Yeah, right. Exactly. Jill DeWit: Get the heck out of that situation. Jack Butala: Yeah. Hang up. Jill DeWit: All you’re going to do is, “Well, okay. Let’s see, the road’s here. Okay, I could go up $5,000.00,” and they go, “Oh, is that all?” Then, you’re like that’s a disaster. That’s a mess. It’s only going to end one way, and it’s not in your favor, so just walk from those. I love it. Hey, share the fun by subscribing at iTunes, or wherever you’re listening. While you’re at it, please rate us there. Jack and Jill: We are Jack and Jill.